This site reprints the official report and how it came about. The report-development process began February 26, 1889, in the Michigan House of Representatives. That day the issue of obtaining information on adverse effects of smoking on youth was discussed. "That a committee of three be appointed by the Speaker of the House, whose duty it shall be to correspond with leading members of the medical profession and superintendents of the public schools in this State, with a view to obtaining knowledge of the mental and physical effects caused by the habitual practice of smoking cigarettes." "Which was adopted." Source: Journal of the House of Representatives, Vol 1, 1889, p 612. Ed. Note: Four weeks later, on March 22, 1889, in the Michigan House of Representatives, during the "Presentation of Petitions,"
"By Mr. Salisbury: Petition of J. N. Mead, Flora Oakley and numerous others of Midland City, relative to the sale or gift of tobacco to minors. "We the undersigned, teachers and pupils in the Midland city schools, watching with deep interest the fate of the bill now  before you relative to the sale of cigarettes to minors, do most respectfully petition your honorable bodies to enact such laws as shall tend to check the increasing use of tobacco. "We realize, as perhaps none outside the school-room can, the debilitating and demoralizing effect of tobacco on the minds of children. The victims of the habit are quite likely to fall behind their classes, lose interest in their studies, leave the school and join the army of street loafers. "The effect of our instruction in this matter is often counteracted by those [cigarette vendors] who are allowed to put the tobacco in their hands. "We, therefore, respectfully petition you to enact a law which shall make it unlawful for any person to sell or give tobacco in any form to minors." "Referred to the committee on State affairs." Source: Journal of the House of Representatives, Vol 1, 1889, p 1000. Ed. Note: During this time, physicians and educators were submitting comments to the committee. It compiled the comments, and filed its report. The committee report, pages 1204-1206, was filed on April 11, 1889, in the Michigan House of Representatives, during the "Reports of Special Committees,"
"1. Have any facts come to your notice which would lead you to form an opinion relative to the subject of the above resolution? "2. Have you reason to believe that the practice is common among the pupils of your schools or is it confined to a small number? "3. If any are in the habit of smoking the cigarettes, do you notice any signs of impaired mental ability to do school work? "4. What effects, if any, have you observed in regard to the health of those who indulge in this habit? "5. If a physician, would you please give your experience and observations and opinion as to the evil effects of cigarette smoking. "6. Any person receiving this circular having opinions founded on observation or experience are invited to freely express the same. "In response we have received replies from more than one hundred superintendents of schools and a large number of eminent medical men. Their uniform testimony is to the end that the effect of the cigarette habit on the young is one that stunts the growth, benumbs the mental faculties, causes nervousness, weakens the action of the heart, etc. "'Investigation shows that the cigarettes sold in this country are, as a rule, vilely adulterated and with substances even more injurious than tobacco. In the city of Washington I saw a few days ago, a wretched looking child scarcely five years old smoking a cigarette and blowing the smoke through his nostrils. His pale, pinched face was twitching convulsively, his little shoulders were bent, and his whole appearance was that of an old man.'" "Your committee desire to say that the testimony recited is only a small fraction of the testimony received. It is all in one direction [tobacco is bad only, as Tennessee would soon agree]. "Enough evidence from the highest authority is before your committee, if printed, to make a large volume, all going to show that this habit is increasing daily and its effects are ruinous to the health and morals of the young, and, if something is not done to stop it, in a few years instead of having a state inhabited by men such as we have been proud of in the past, men of whom we are proud today, men who have made the great State of Michigan what she is to-day, we will have a State filled with imbeciles. Note that what they feared, turning into "a State filled with imbeciles," did happen. Nowadays, the public typically do not have even the mental ability to even ask the questions of 1889, much less, to answer them! And they certainly cannot understand the answers! And see U.S.-wide examples cited by H. L. Mencken in 1922 and by Paul Craig Roberts, Ph.D. in 2006. Check this yourself. Ask most anyone, they immediately deny the tobacco role in impairing mental ability and moral behavior! Education has been severely "dumbed down," see 1914 data. "Report accepted and committee discharged." Source: Journal of the House of Representatives, Vol 1, 1889, pp 1204-1206. Click here to see the subsequent resulting 1909 law. (rather than continue to allow it to run in the streets). �Reason eventually prevailed and doubtless will do so also with smoking. �Promotion by tobacco companies may then be seen for what it is�the �pushing' of a dangerous drug.��Beulah R. Bewley, �Smoking in Pregnancy,� 288 Brit Med J (#6415) 424-426 (11 Feb 1984). The medical statistics analysis process was already long accepted then (since the 12th century!). Three years after this 1889 Michigan House Report, the Women's Christian Temperance Union in 1892 asked the U.S. Congress to ban tobacco. This occurred during the term of Francis Willard, M.S., M.A., LL.D. (1879-1898). WCTU sent Congress thousands of petitions for banning cigarettes, citing the already then-known fact that cigarettes were "causing insanity and death to thousands" of youths. Congress REFUSED. Congress (like politicians generally) prefers whining about many tobacco effects (without having the integrity / educational competence to even recognize oradmit that they are such), rather than preventing them, see questionnaire below. See House Resolution 273 (1949) by Congressman Walter K. Granger to secure a congressional investigation of tobacco in more depth than done by Michigan in 1889. So far as can be determined, he was the last educated person adequately educated to even ask along these lines. (Nowadays, the average person would deny even the basis of even asking the questions). "Resolved, That there is hereby created a select committee to be composed of five Members of the House of Representatives to be appointed by the Speaker, not more than three from one political party, one of whom he shall designate as chairman. Any vacancy occurring in the membership of the committee shall be filled in the same manner in which the original appointment was made. (f) the deaths and property losses due to fires caused by smoking. SEC. 3. The committee shall report to the House (or to the Clerk of the House if the House is not in session) as soon as practicable during the present Congress the results of its investigation and study, together with such recommendations as it deems advisable. SEC. 4. For the purpose of carrying out this resolution the committee or sub-committee thereof is authorized to sit and act during the-present Congress at such times and places within the United States whether the House is in session, has recessed, or has adjourned, to hold such hearings, and to require, by subpoena or otherwise, the attendance and testimony of such witnesses and the production of such books, records, correspondence, memoranda, papers, and documents, as it deems necessary. Subpoenas may be issued under the signature of the chairman of the committee or any member of the committee designated by him, and may be served by any person designated by such chairman or member." The 1949 Congress refused to do this. Harry Truman had just been re-elected with infusions of tobacco lobby money, beating off Thomas Dewey, an anti-tobacco Republican. [Republicans have since then reversed position, become now pro-tobacco]. Of course, educated people still know in significant detail how cigarettes have the brain effects reported above. But there are not enough of such people to even be able to secure a politician willing to even ask the type of questions above-cited. Tobacco smoke emits high quantities of carbon monoxide (42,000 particles though carbon monoxide is unsafe in such quantities), as our site on cigarettes' toxic chemicals shows. "Autopsies have revealed large foci of softening in the brain, hemorrhages into the meninges, and capillary apoplexies in the brain substance." G. W. Jacoby, 50 New York Medical Journal 172 (17 August 1889). Also, "Ecchymosis occurs in the pleura and peritoneum. Hyperemia of the lungs, brain, and cord is found. . . . Coarse lesions have been found in the brain and spinal cord." L. P. Clark, 71 Medical Record (26) 1073 (29 June 1907). This combination of brain-damage-effects foreseeably, as a "natural and probable consequence," leads to mental disorder and crime. 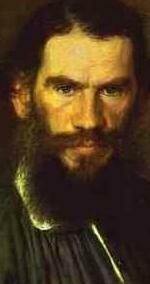 Tobacco damages the conscience, says Count Leo Tolstoy, Why Do People Intoxicate Themselves?, p 5, thus leads to crime, p 10 (1890). About two centuries ago, people already knew that smokers cause fires, warranting criminal prosecution of smokers to try to stop them doing so, e.g., Commonwealth v Thompson, 53 Mass 231 (1847). State v Ohmer, 34 Mo App 115 (1889). Mentally disordered smokers (though we no longer refer to them as "raving maniacs") are still around, and can indeed be quite dangerous, cause fires, kill nonsmokers with SIDS, heart disease, lung cancer, abortion, etc. Let's note an example of a smoker destroying property by fire-setting. Details are found in the lawsuit by Rum River Lumber Co v State of Minnesota, 282 NW2d 882 (Minn, 1979).�An insane smoker had escaped from the St. Peter state mental hospital. A pyromaniac, he then proceeded to set fire to the local lumber yard!! The destroyed lumber company sued the state mental hospital, for negligence in letting the mentally ill smoker escape!! When such smokers are allowed to run loose, said the lumber yard in court, they are foreseeably likely to cause fires; so it is negligent to let such foreseeably dangerous mentally disordered smokers escape. The jury agreed, and told the state to pay for the damages that arose from the asylum's negligence in letting the insane smoker escape. The state appealed to the State Supreme Court. But since smoker's known disproportionate mental disorder and dangerousness, including their causing fires disproportionately, is medical fact, the state lost the appeal. In the case of Commonwealth v Hughes, 468 Pa 502; 364 A2d 306 (1976), smoker Hughes (having been negligently hired) started a fire at a chemical factory. Firemen trying to extinguish the smoker-caused fire were killed on the job in the process. Smoker Hughes was arrested for manslaughter in the two deaths. He appealed all the way to the Pennsylvania Supreme Court, but lost. Smokers�contrary to lay mythology�do not have a right to start fires that kill people. (On the contrary, the Constitutional Right is to put out fires. In the case of Shimp v New Jersey Bell Telephone Company, 145 N J Super 516; 368 A2d 408 (1976), smoker coworkers (having been negligently hired) were bringing canisters of toxic chemicals (canisters known as cigarettes) onto company property, and spraying the toxic chemicals into the air, including impacting their nonsmoker coworkers. The phone company management (were they "imbeciles" as the three legislators above, feared would come about?) allowed this, except around the company telephone equipment!! The equipment, its right to a smoke-free job was ok!! Mrs. Shimp politely asked them to cease and desist. Of course, due to their tobacco-induced brain damage (addiction in lay terms), they refused. So Mrs. Shimp requested a poison control / nuisance abatement injunction to get herself treated as having the same smoke-free rights as the inanimate phone equipment. Management imbeciles fought in court against stopping the poison-spewing. Fortunately Mrs. Shimp won anyway. Employers must treat nonsmoker humans no less well than employer equipment. Years later, despite smokers being so dangerous, "imbecile" legislators in Michigan passed a 'smokers' rights' bill! Imbeciles! Fortunately, then MI Governor Engler vetoed the bill! Smokers being deranged, "raving maniacs," is really, truly that severe; imbecile-prevalence is that widespread; it has taken court orders to get smoke-free (poison-spewing-free), job-sites for humans! The right has existed for centuries. Management and legislative imbeciles don't know it! this basic right to life! this basic right to due process before being killed! In another case of a smoker committed to a state mental hospital, the smoker was violating the no smoking rule, causing a hazard. In that case, the state hospital workers were careful (unlike those in the Minnesota case, supra) to not be negligent, not let the smoker cause a hazard. They forcibly, with violence restrained the mentally disordered smoker (Mr. Jacobs). He thereupon sued, charging the workers with assault and battery. Their defense was, they were preventing the mentally disordered smoker from causing harm! (Prevention is better than waiting until your place is burned down, or you are killed!) The employees using force and violence against the smoker won. The court dismissed the smoker's case pursuant to the legal doctrine of "sovereign immunity." The case is Jacobs v State of Michigan Mental Health Department, 88 Mich App 503; 276 NW2d 627 (1979). And with respect to smokers and crime, "Nowhere is the practice of smoking more imbedded than in the nation's prisons and jails, where the proportion of smokers to non-smokers is many times higher than that of society in general." Doughty v Board, 731 F Supp 423, 424 (D Col, 1989). "Nationwide, the [ratio] of smokers [to non-smokers] in prisons is 90 percent." McKinney v Anderson, 924 F2d 1500, 1507 n 21 (CA 9, 1991), affirmed and remanded, 509 US 25; 113 S Ct 2475; 125 L Ed 2d 22 (1993). Our ancestors, better educated (in terms of school requirements) than many people nowadays on this subject, knew this statistic. Nowadays, education has been so dumbed down that high school graduates do not know as much science on this subject, as did grade school children of the 1889-1914 era. Solution: Let's require that to receive a high school diploma, potential graduates must be able to understand and explain the arithmetic and science underlying the teachers' and students' request, supra, that led to the above House Report. Anyone who can't do that (doesn't know as much science (especially, anatomy, physiology, hygiene) as children of the 1889-1914 era), would not graduate. The individual would have to remain in school until he/she can understand the above House Report, and articulate it. 1. Have we become a nation of imbeciles? as forecast? 2. Are your legislators educated? 3. Do they know tobacco's mental effects? 4. Can they list the 3 aspects: addiction, brain damage, mental disorders)? 5. Can they elaborate articulately on those effects? 6. Have you spoken to your legislators? found out what they know? 7. Do legislators write to educated people nowadays, to obtain facts? 8. Do they do this BEFORE they vote on bills? 9. Do legislators know tobacco effects? 10. Have you asked them what they know? 11. Do you ask candidates about this subject? 12. Do you ask BEFORE you vote them in? 13. Do legislators focus on "fighting" tobacco effects? 14. Examples: Do legislators whine about "assisted suicide"? While never mentioning the tobacco role? 15. Do legislators whine about "drunk driving"? 16. Do legislators whine about "crime"? 17. Do legislators whine about "drug abuse"? 18. Do legislators whine about "welfare reform / poverty"? 19. Do legislators whine about "abortion"? 20. Do legislators whine about high-prescription drug costs? While never mentioning tobacco's causing use of those drugs? 21. Do legislators whine about "high health care costs"? 22. Do politicians whine about budget deficits? While never mentioning tobacco's role? 23. Are politicians as educated as children used to be? 24. Again, has there been deterioration to the "imbecile" level? Acting on "whims, fancy, and sudden childish notions"
Reacting with "remarkable irrelevancy" to reality due to "ignorance"
Thus, "a special failure of communication in dealing with heads of state"
"It is a feature of government that the more important the problem, the further [up the political structure] it tends to be removed from handling from anyone well acquainted with the subject. "�Barbara W. Tuchman, Stilwell and the American Experience in China (New York: Macmillan Co, 1970), pp 241, 404, 405, 464, respectively. "Political Conservatism as Motivated Social Cognition," by John T. Jost, Jack Glaser, Arie W. Kruglanski, Frank J. Sulloway, 129 Psychological Bulletin (#2) 339-375 (July 2003) (cites common conservative politican symptoms pursuant to multiple studies). Psychopaths, might they be deemed the dregs, the scum of society? fit for institutionalizing?! to you as to what was already then known!